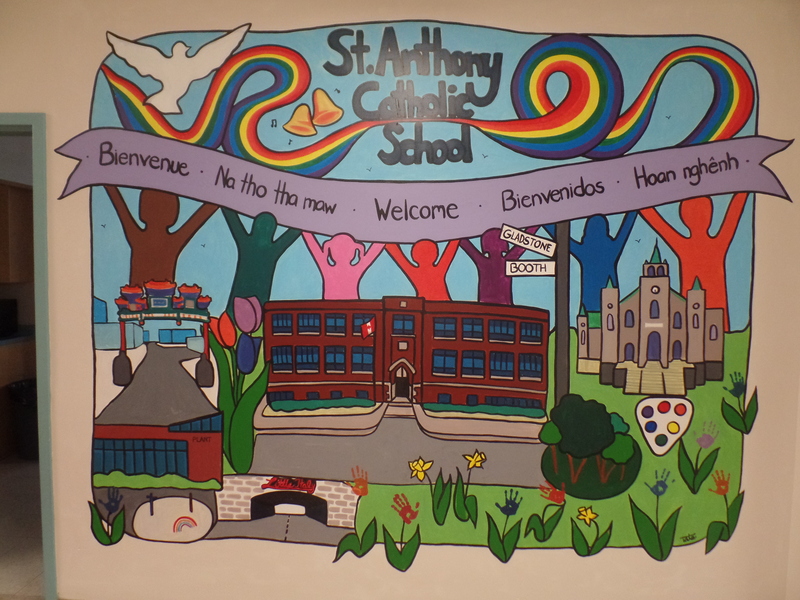 St. Anthony Catholic School today, just as at its beginnings as the Dante Academy, is a Catholic school that serves a high proportion of children from immigrant families living in the Somerset Street West area of Ottawa. This is a wonderful school community with students and parents from Asia, Latin America and Africa. The combination of different languages and cultures makes for a vibrant and exciting atmosphere. It is a true joy to work here at St. Anthony. 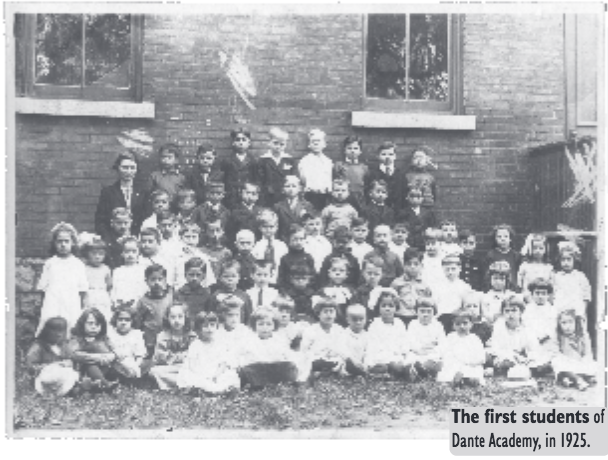 St. Anthony School was founded as the Dante Academy in 1925. On June 8, the Ottawa Citizen reported on the official opening of the school as follows: “The official opening of the Dante Separate School for Italian children took place yesterday morning, and a special Mass, honoured by the presence of Monsignor L.N. Campeau, representing the Archbishop, was celebrated by Rev. Father L. Larocque at the Church of St. Anthony…” It is very interesting to note that the Dominion horticulturalist, Mr. W. T. Macoun, provided ‘a generous donation of trees’ to celebrate the opening of the school. This began a long history of establishing a green oasis in the center of Somerset West. In 1998, the school, along with dozens of others, applied to win the “Ugliest Schoolyard Contest,” sponsored by Earth Day Ottawa-Carleton, the Canadian Biodiversity Institute and Nortel Networks. St. Anthony won the contest, which was held to encourage schools to take positive environmental action. By winning the contest, St. Anthony received $5,000 to help plant trees and make the schoolyard greener. Additional awards were received from the City of Ottawa, the Arbour Foundation and the Canadian Wildlife Federation. Now, 17 years later, the schoolyard is in need of assistance. Many of the trees planted in 1998 need a good deal of work to revive them. The yard is mostly made up of cracked concrete that is extremely dangerous in the months when it is not snow covered. This year alone there have been several injuries resulting in trips to the hospital for several students. In response to this need, St. Anthony School has worked with Evergreen to develop a new concept for the yard. 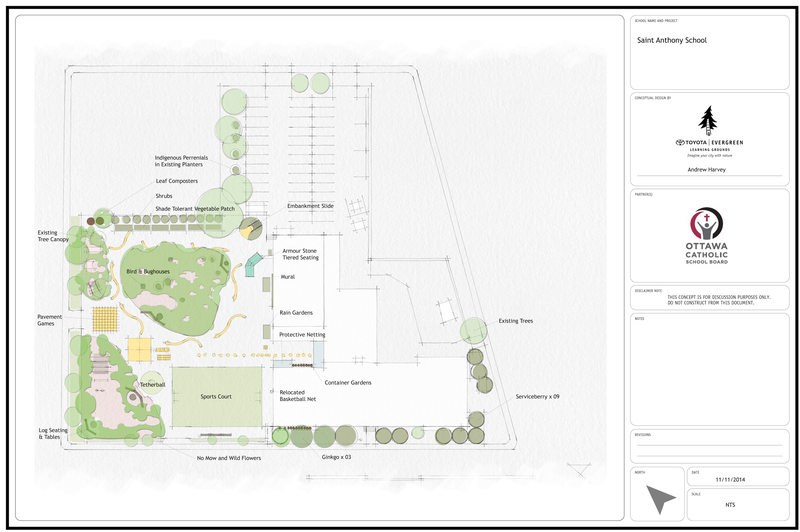 The concept plan, draw by Evergreen consultant Andrew Harvey, is based on extensive discussions with the students and staff of St. Anthony School. The plan calls for the pulling up of much of the old pavement along with the planting of more trees and shrubs. Evergreen also designed the yard in such a way that students would have low-cost wooden structures to play on. Currently, there is no play structure on the yard. Now it is back to the drawing board. We are still totally committed to building our new yard and we are actively looking for new, inventive ways of raising money. St. Anthony’s Ladies Aid has been very helpful in their support of the project as has one of our local high schools. St. Anthony is the community’s school and it will ultimately be the community that helps us continue to work of W.T. Macoun and Earth Day Ottawa-Carleton. As our slogan goes, we will turn our Asphalt into an Oasis! How can we support innovation?